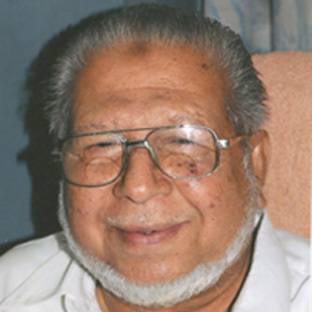 Dr.K.Mohideen Kunju Lebba started his school education in a reputed Sanskrit school in Kerala. His interest in Sanskrit language made him read many books written in sanskrit. Dr. K. Mohideen Kunju Lebba graduated with first rank from the Govt. Ayurveda Medical College, Thiruvananthapuram in the year 1949. He started practising under Chavara Govinda Pillai, a famous Ayurvedic Physician belonging to a family of traditional Ayurvedic Doctors. Dr Nazimudheeen kamaludeen son in law of Dr Mohideen kunju lebba has graduated from govt TD medical college alleppey in 1979 and and has done his postgraduate diploma (DPMR) in 1989 and MD in physical medicine and Rehabilitation from govt medical college TRIVANDRUM in 1991 and he was working as associate professor of physical medicine and rehabilitation at Calicut medical college 1992 he was selected by the ministry of health kingdom of Saudi arabia as a consultant in physical medicine and rehabilitation at king fahad hospital at madeena. 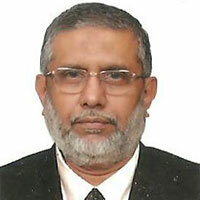 Dr Mohammed Irfan,Grandson of Dr Mohideen kunju lebba has graduated from Rajiv Gandhi university of health sciences,Bangalore in 2006 and Masters in Conservative Dentistry and Endodontics from Yenepoya university,Mangalore in 2011.Currently he offers his services as Assistant Professor in Azeezia College of Dental sciences and Research,kollam,kerala & as Consultant Endodontist in kerala institute of Medical sciences (KIMS) Trivandrum and Kollam.He is an eminent specialist Endodontist in various other superspeciality centers all over kerala.